The professionals at Turf services grow and supply quality GRASS products for the Timaru and the South Canterbury areas, the McKenzie Country and North Otago area. 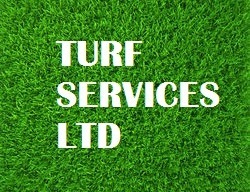 We offer free, no-obligation quotes for all your grassing / lawn requirements. For more information, call us on 0800 529 648. Based in Timaru since 1999, we are the only company in South Canterbury with a qualified team of lawn and turf professionals. We offer quality and exceptional service.